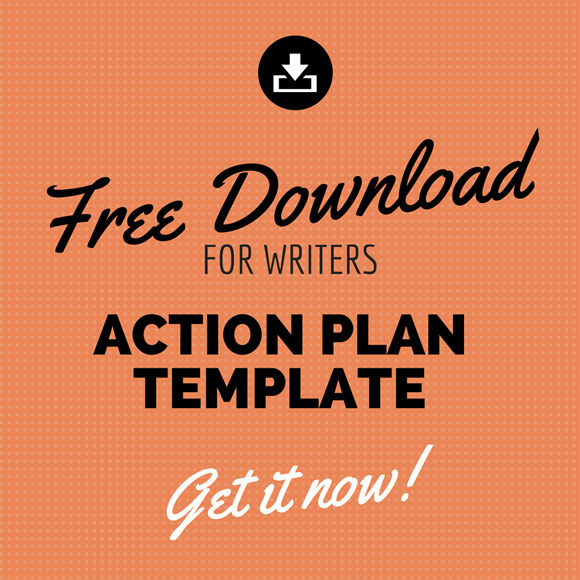 For this week's free resource for writers, I'm giving you an action plan template loosely based on my own action plan format (though mine are usually scribbled out on 5x8" index cards). Here's a bit of background on what an action plan is and how you can use this template. And near the end of the post you can find a preview and download link. 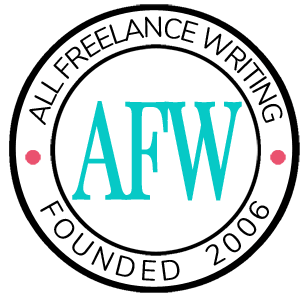 We talk a lot about setting and reaching your goals here at All Freelance Writing. And usually that focus is on longer-term goals like yearly plans and career goals. But an action plan is something you might use to reach smaller goals along the way. For example, you might have a bigger goal of increasing traffic to your website to a certain level by the end of the current year. But on your path to reaching that goal, you might break things down into smaller goals and task lists. In this example, you might have a goal of finishing a blog content audit by the end of February in that same year. Being able to move forward with a better content strategy depends on you reaching this goal early in the year. And that improved content strategy is one of your big focuses in reaching your overall traffic goals. Your action plan would focus on that smaller goal. And you would create action plans for each similar goal along the way. Who is the Action Plan Template For? I created this action plan template based on my own format used in all of my various writing and publishing projects. So from experience, I'd say this is for all writer groups I cater to here on the site. Bloggers might use it for blog development, audits, optimization, or redesigns. Authors might use it for specific steps of the indie publishing process or to help them through individual book marketing objectives. And freelance writers might use it in developing a writer website or even reaching the goal of working for their ideal publication or client. That said, this action plan template could really be used by any entrepreneur looking to break down larger goals into more manageable steps. Goal -- Explain the goal you're currently working toward. Try to use S.M.A.R.T. goals -- specific, measurable, attainable, relevant, and time-based. For example, a freelance writer might set a goal of landing a contract worth at least $X with at least one of their top five "dream clients" (name them in your goal section) within a period of one year. Measures of Success -- This is the criteria by which you'll determine your success or failure after completing your action steps. In other words, what will it take to make you feel successful? An indie author, for example, might create an action plan to help them land their first few speaking engagements while building their author platform. Their success criteria might be anything from increased book sales from their audience members to simply feeling more comfortable with the public speaking so they can use those skills in other efforts down the road. [icon image="star" size="small" cont="yes" float="left"]Want to get more comfortable with public speaking, even if you're an introvert? Joanna Penn offers some excellent advice in this podcast interview and SlideShare presentation. -- Check it out. Action Steps -- Here you'll break down your goal into specific action steps or tasks. What are the specific things you need to do? For example, if a blogger has a goal of overhauling their site design, an action step might be to interview or compare portfolios of various designers or coders. Resources -- This is where you'll list whatever, or whomever, you'll need to complete each action step. Based on our previous example, that blogger might need a contractor to help them with various stages of their re-design process. Cost -- This is self-explanatory. How much will it cost, if anything, to complete this individual action step? I hope you find this action plan template helpful as you work to reach your goals. Enjoy! Wonderful tool for writers Jenn — will pin and share. It’s vital for writers to document plans, otherwise life gets in the way, and you become overwhelmed. I’m a big fan of the Behance “Action” materials, and don’t know where I’d be without my Action book and pads. Your Action Plan template’s better however, because of the Measures of Success. It’s too easy to think we failed, if we don’t nail down what success means to us. Thanks Angela. 🙂 Sometimes it’s the little successes that keep us moving forward, even if not everything turns out the way we plan.